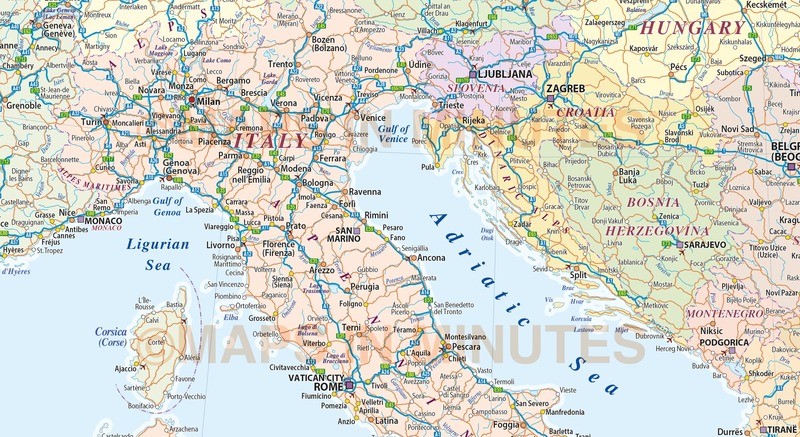 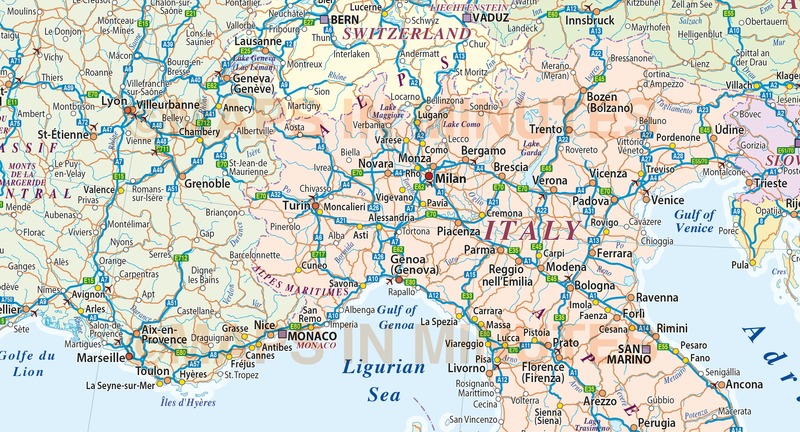 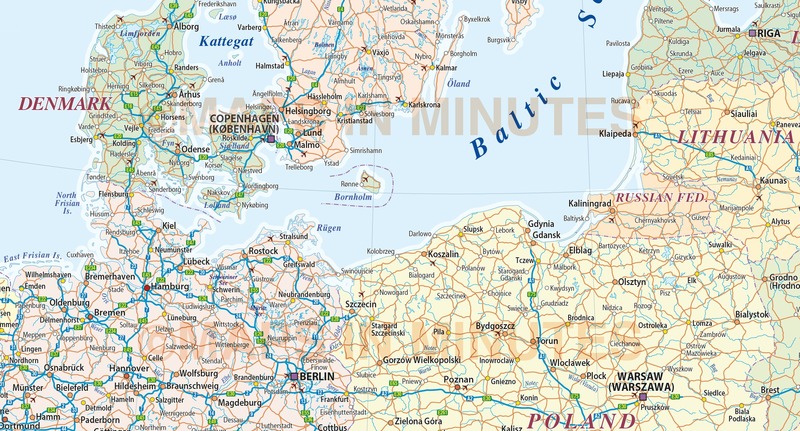 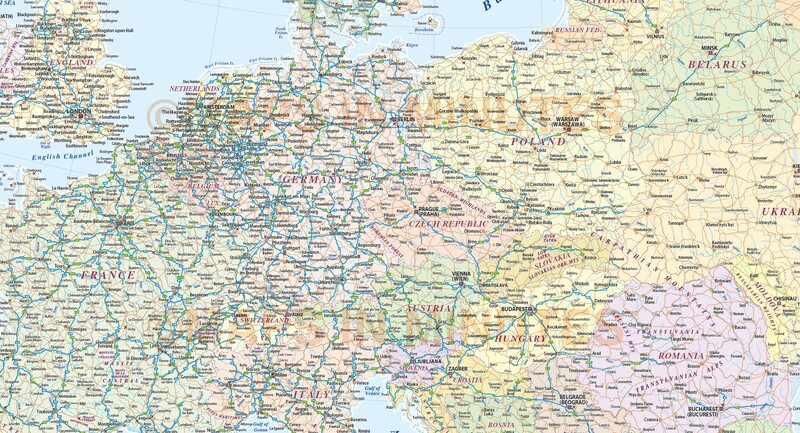 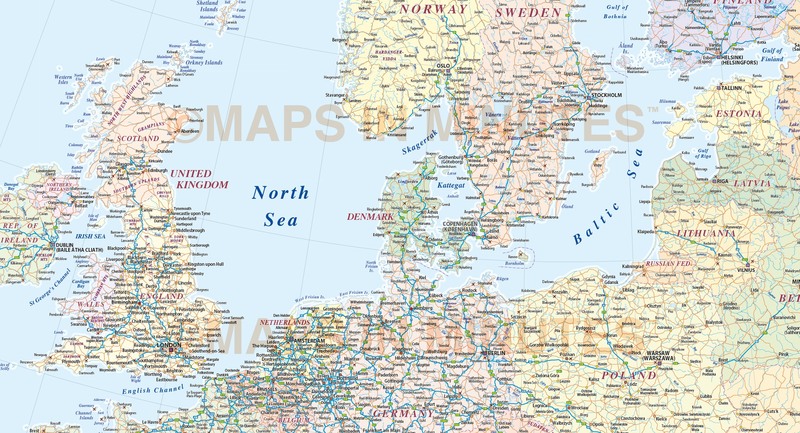 Fully editable large scale Central Europe road map in a choice of vector formats. 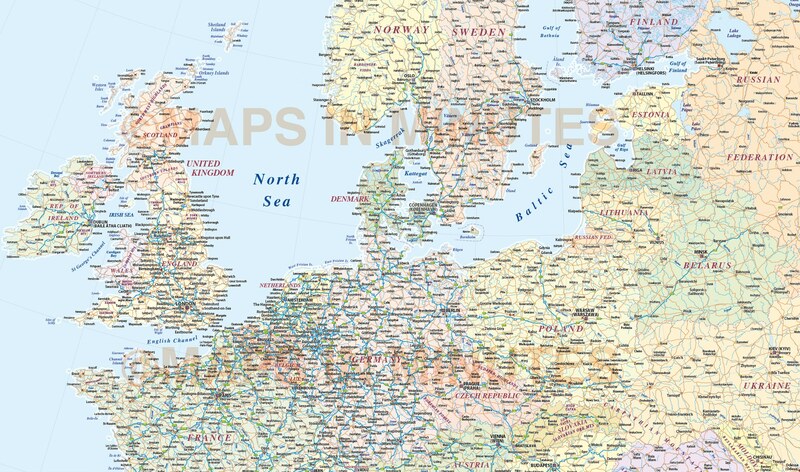 Layers include: Coastlines and islands, country borders & fills, country names, sea/ocean names, rivers, major/minor lakes, river names, physical names, capital cities (layered by population), major settlements (layered by population), major airports, motorways and major roads plus latitude/longitude. 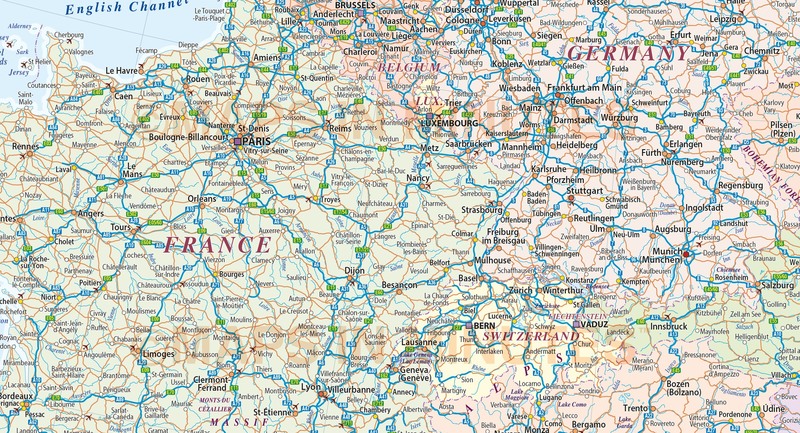 Formats: Choose from Illustrator CS1 up to CS6/CC, Adobe Acrobat Editable PDF 6.0 format coming soon. 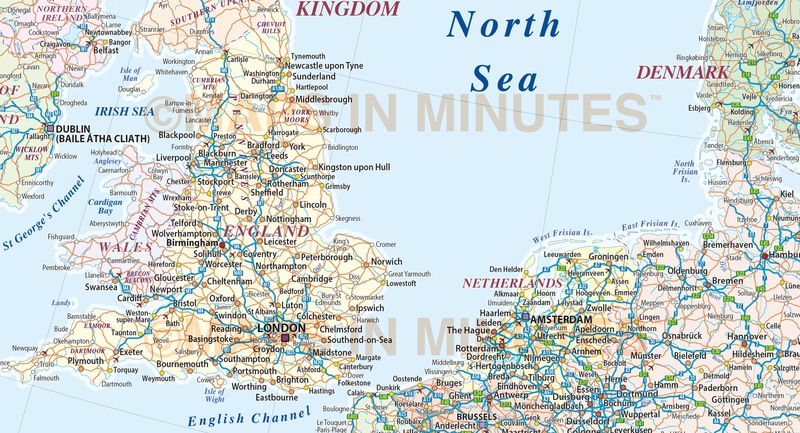 Our maps in PDF 6.0 format are fully layered within Acrobat but can still be opened and edited in Illustrator CS4 -CS6 while retaining full layering with 100% editability. 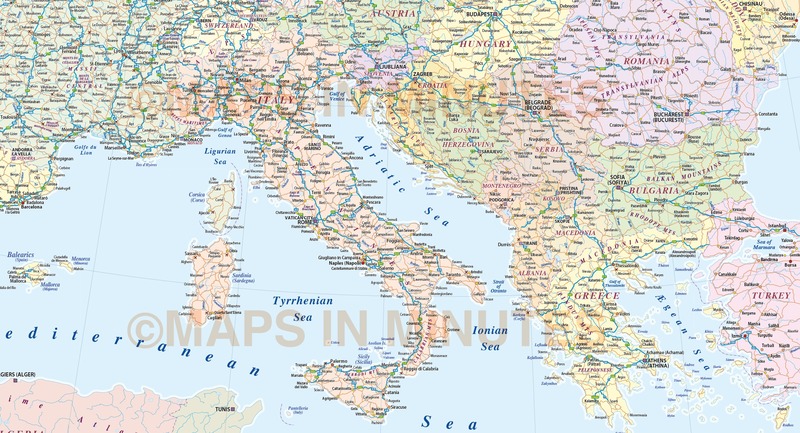 Authors notes: This map is updated for 2016. 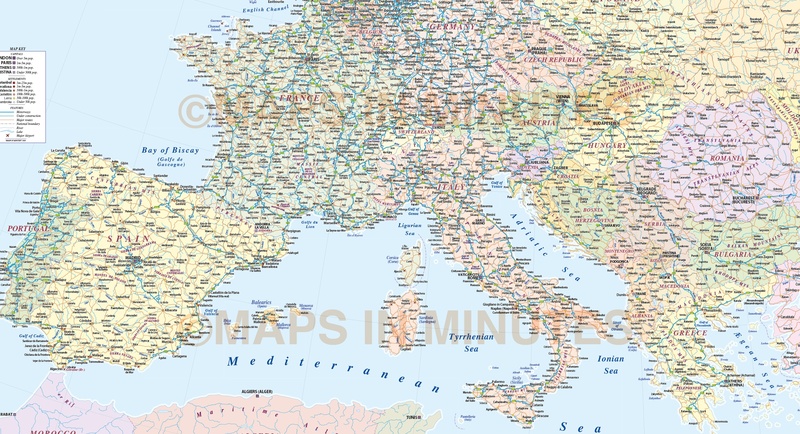 Suitable for use up to any size but if using the whole map it is not suitable for under A4 due to the amount of detail. 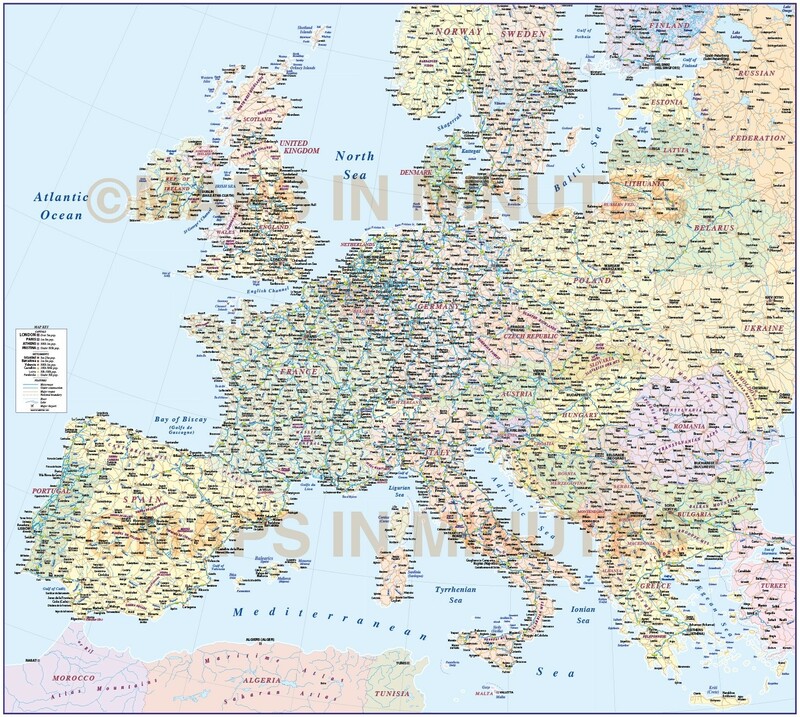 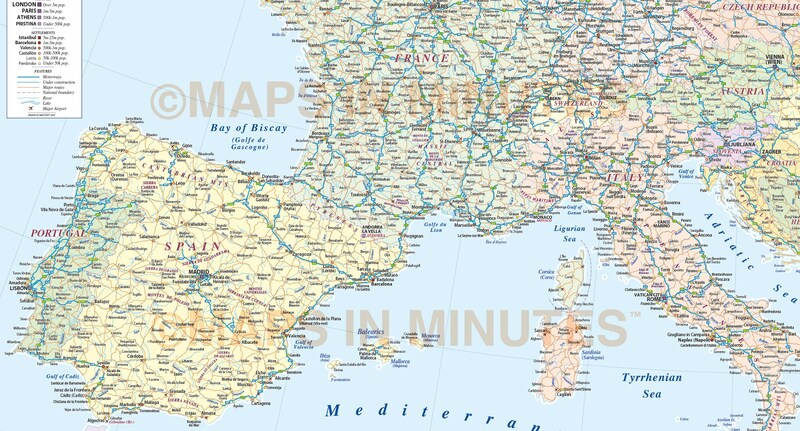 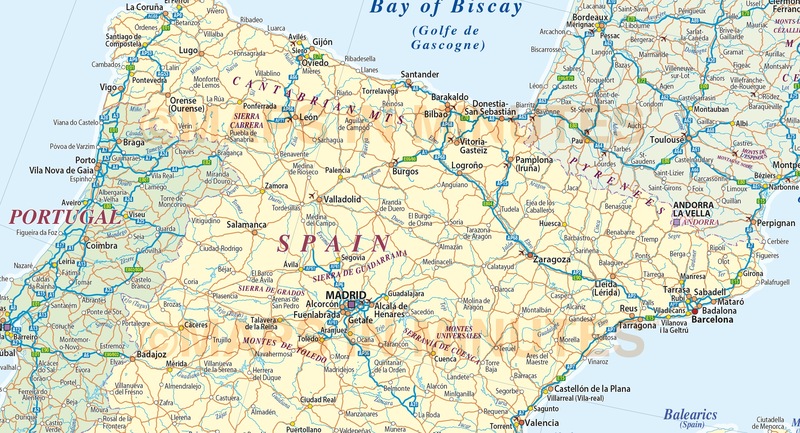 If you would prefer to purchase a set of region maps please visit our World Maps Collections category.